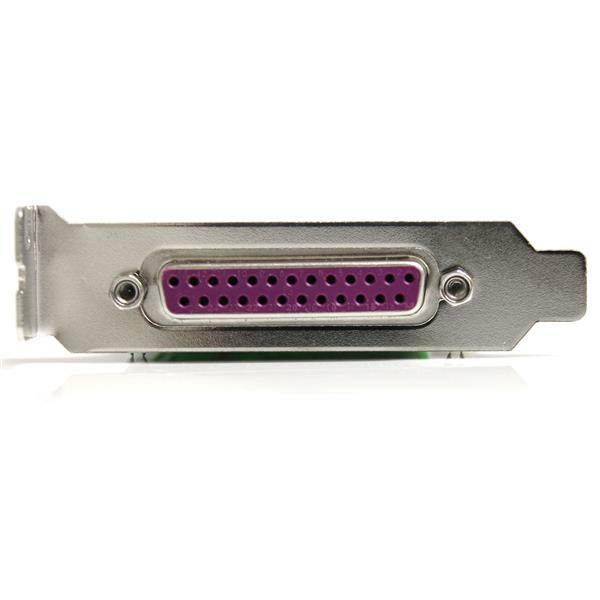 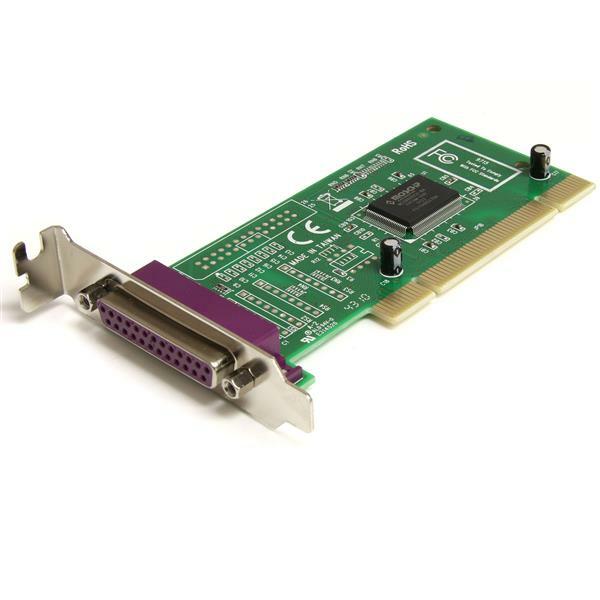 The PCI1P_LP 1 Port Low Profile PCI Parallel Adapter Card adds one IEEE 1284 port to your small form factor PC, with data transfer speeds of up to 1.5 Mbps – up to 3 times faster than on-board parallel ports. 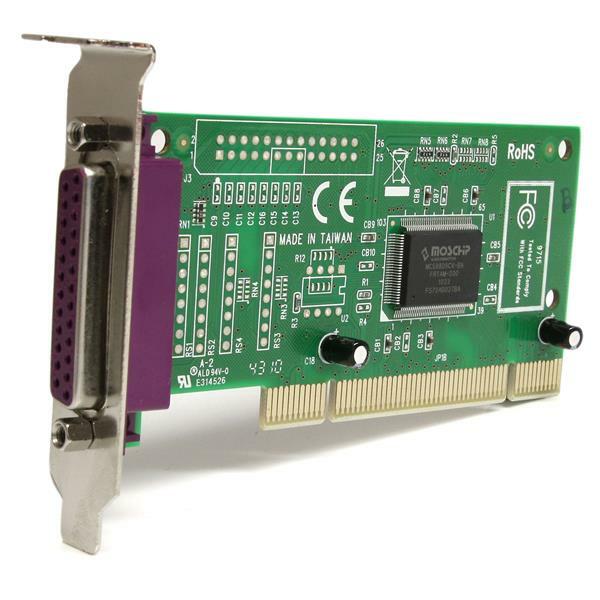 The adapter card features a low profile design that is suited to small form factor computer cases, while including a full height bracket to adapt to any installation. 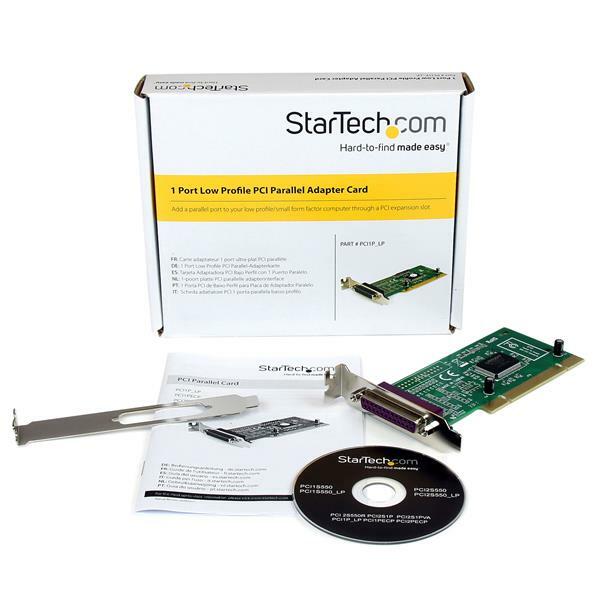 Installation is a breeze with plug and play support and drivers for Windows® 7, Vista, XP, ME, 2000, 98, 95, NT4, DOS® and Linux®. 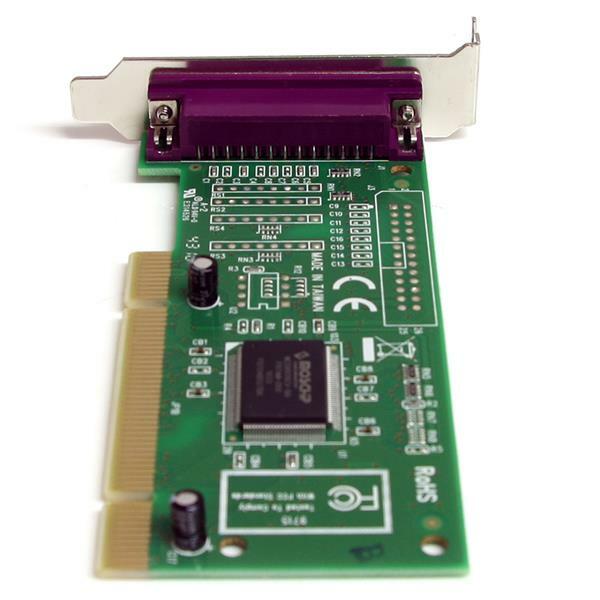 IRQ sharing and hot swapping capabilities guarantee convenient, hassle-free connections to any parallel peripheral.